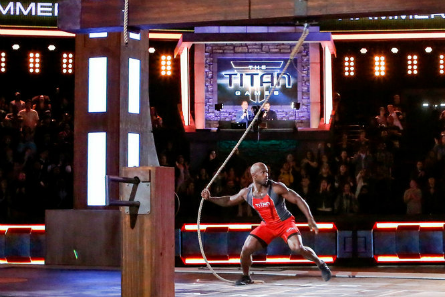 NBC’s newest physical competiton series which is comparable to their “American Ninja Warrior” show called “The Titan Games” is a seasoned athlete’s dream. It’s an ultimate physical challenge sets of obstacles made for athletes by athletes in a stretch of 10 episodes. 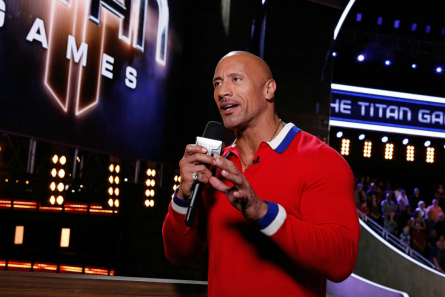 Host and executive producer Dwayne “The Rock” Johnson wanted to “redefine” what an athletic competition can be. 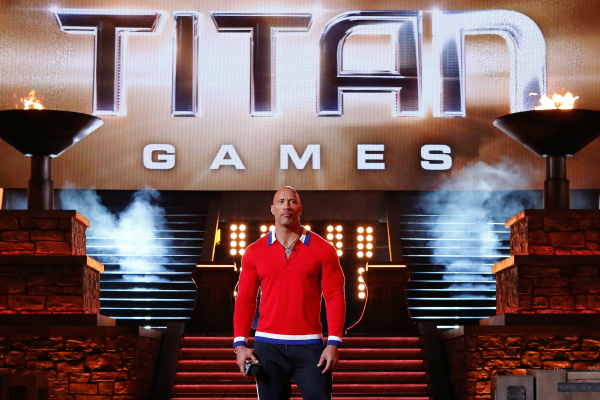 Johnson stated that the physical obstacles in the show is created for those “with the ability” who have a chance to “unlock their full potential.” Behind-the-scenes of “The Titan Games” are excutive producers Dany Garcia who’s a body-builder and CEO of The Garcia Companies; Brian Gewirtz from the WWE (World Wrestling Entertainment) world, along with Dwayne Johnson whose career blossomed from his time as a wrestler in the WWE. This series was filmed entirely at the Irwindale Speedway in Irwindale, Ca consisting of all night shoots. In one episode of the Titan Games, the athletes in the competition include: motivational speaker Chris Ruden; and Brehanna Daniels (24 years old) who is the first female African American tire changer at NASCAR. Dwayne Johnson said the obstacle challenges are inspired by his own workouts. Each week, the competitors who defeat their opponents move-on to the next stage in the game called “Mount Olympus” where they must face seven “grueling trials” designed to challenge their minds, bodies and souls. At the end, the winners (called “Titans”) in this round return to challenge each other where there’ll be one woman and one man crowned Titan champions who will each walk away with $100,000 in prize money. Alex Mendez (“Goldenboy”) and Liam McHugh are the commentators of all the Titan action. 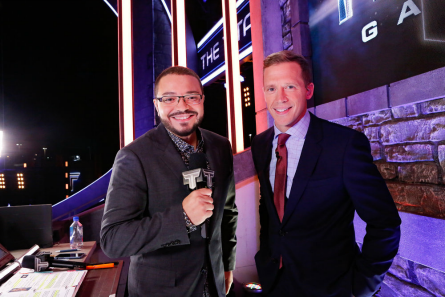 The two, who are real life sportscasters, take us through every stage of the game, and series of challenges that each potential “Titan” must face in their strenous journey of making it to the end. “The Titan Games” is also co-hosted by Cari Champion from The Tennis Channel, and ESPN. First-up in the slew of challenges is the “Herculean Pull.” In this obstacle, two opponents are required to use their upper body strength to pull out two 100 lb poles longer than a pick-up truck from a pryamid-type structure. Each athlete tackles this on opposite sides of the structure where they are not in view of each other. This challenge finishes with the “blind tug of war” with the golden pole. They can not use the ground for help. Whoever gains the most pull-out of the golden pole and hits the target to unlock the next stage, moves-on. Basically, it’s two contestants pulling at the same gold colored pole. Whoever pulls the pole out all the way first, moves-on to the next round. 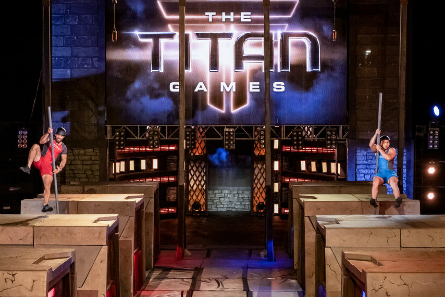 The “crown jewel” of the whole Titan’ competition is a final grueling stage consisting of multiple rugged challenges called “Mount Olympus.” The series of games in this final round are: 1000 Pound Wall; Gates of Olympus; Rolling Ascent; The Cliffs; Torch Crank; The Descent; Ball & Chain. First, athletes must push over a half ton wall “1000 lb Wall” then drive three sets of 450 lbs cages up a 25 degree incline called “Gates of Olympus.” Once the wall is toppled over they use it as a ramp to run up to it to push up three steel cages, then run around it to tackle the cylinder rollers that move uphill. This is especially tricky, fighting gravity which naturally pulls you in the opposite direction. “The Descent” is the easy phase where they only have to slide down a slide and jump over short scaled walls. Finally, the end is near with “Ball & Chain” which is a labor intense sprint to the finish line while pulling a massive boulder with the chain that it’s wrapped with in an attempt to reach a block of stone housing the Titan relic. Upon obtaining the relic (key) it allows them to unlock the win and title of the Titan champion. After reaching the block of stone, each competitor must break it using a sledge hammer and reach in to acquire the Titan “T” shaped relic which is used as a key to unlock the Titan torchs. Next, the newly crowned “Titans” challenge each other! We’re guessing that this is when the real fun begins! The challengers competing in “The Titan Games” seem to be from all walks of life. 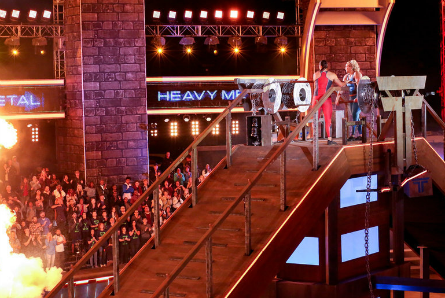 In an NBC screener, we saw two females – a power lifter up against a fitness expert who were able to each hold their own very well. Kid you not, one challenger amazed everyone in the stands as they watched her pull the “Ball & Chain” boulder using only one arm. “The Titan Games” premiere Thursday, January 3, 2019 on NBC 8-10 pm ET.